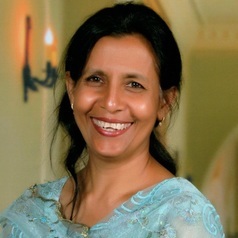 Associate Professor Zarrin Siddiqui is the Assessment Lead at the University of Western Australia. She is currently leading the longitudinal portfolio in the MD Course and is involved in the supervision of postgraduate research students. Her background is in Psychiatry and has more than twenty years of experience in medical education. More recently, she is involved in the UWA Self-Assessment Team to oversee, guide, prepare and submit the University of Western Australia’s Athena SWAN Bronze Award Application as part of Science in Australia Gender Equity pilot project. In the other hat that she wears, she is the lead for the Multicultural Research Group of WA and Mentoring without Borders project to support capacity development in Pakistan.